The 140L-DX secateurs make light work of routine tasks, allowing you to prune all garden life quickly and effortlessly. The squeeze open mechanism means it can be controlled and manipulated easily, making it a convenient tool to have as part of your kit. 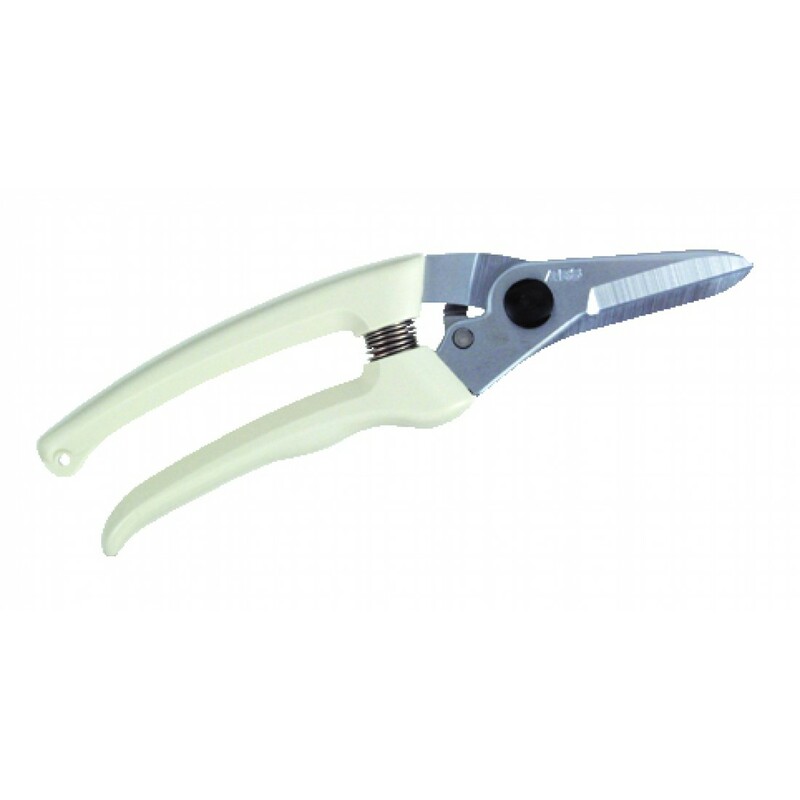 The simple to use secateurs are complemented by a sharp, reliable blade, creating a finish that is smooth and clean cut, which is effective on plastics, rubbers and cable too. The materials chosen to craft the 140L-DX secateurs have been chosen for their durable features. The blade is made from high carbon steel with a hard chrome plating, ensuring the secateurs are long-lasting. The 150g weight means it’s a relatively lightweight tool to use despite its 200mm length (he 140L-DX is a larger blade model of the 140DX-R). The combination means it can be used for a variety of tasks without becoming cumbersome to the user. The white grip handle has an added locking clasp and also provides comfort and stability when in use.